The announcement of verdicts of the Professional Jury, Children’s Jury, Zig Zap Jury and results of audience vote of the 24th International Young Audience Film Festival Ale Kino! was made at the Festival Gala on 15 December. 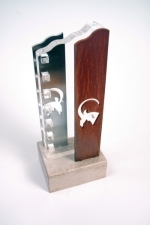 The prize of Channel 1 of the Polish Television was also awarded. Marcinek, the main prize of the Children’s Jury, went to Viva Cuba directed by Juan Carlos Cremata Malberti. The Jury honoured the animated film The Great Escape directed by Damian Nenow (Poland). The prize of the Director of Channel 1 of the Polish Television was awarded to The Star Child by Marek Serafiński. The Zig Zap Jury awarded the prize for best actor to the lead actors in Viva Cuba, Malù Tarrau Broche and Jorgito Milò, and the honourable mention to the lead actress in Winky’s Horse, Ebbie Tam. Marcin, the audience award, went to The Flyer (dir. Revel Fox). During the Gala, Dorota Kędzierzawska, the author of the film I Am, received the organisers’ special prize of Platinum Goats.